Sometimes there is no way for attorneys to avoid out-of-town depositions, or the travel, expenses and time away from home that comes with it. But not every deposition needs to be held face-to-face. New videoconferencing options have made videoconference depositions a close second to the in-person deposition. How? Thanks to a wide range of tools and lower overall costs compared to travel for in-person depositions, HD videoconferencing is becoming the new standard for long-distance depositions and other types of meetings. Many times, weather will prevent you from being able to conduct an in-person deposition or meeting and you need a quick back-up option. Ever had a flight cancelled because of weather and rescheduling was not a good option? We’ve seen videoconferencing help attorneys tremendously in these situations. As its name implies, HD videoconferencing delivers high-definition video that is broadcast quality. But beyond a crystal clear picture and audio, HD videoconferencing offers tools designed to squeeze the most productivity out of meetings, interviews and depositions. When it comes to deposition videoconferencing, some platforms are much better than others. These platforms offer HD video and audio, real-time streaming text, easy document sharing for exhibits and more. For meeting participants who don’t have access to a standard HD videoconference site, joining the conference is still easy. The best deposition videoconferencing options support multiple hardware and software platforms, from PCs and Macs, to tablets and phones, making it an ideal solution for witnesses or experts who live in rural areas, or for team members who are away from the office yet need to participate. It requires only an Internet connection, not an annoying and potentially troubling software download. Most Internet browsers support the deposition videoconferencing platforms, and they launch simply from an email invitation or link. 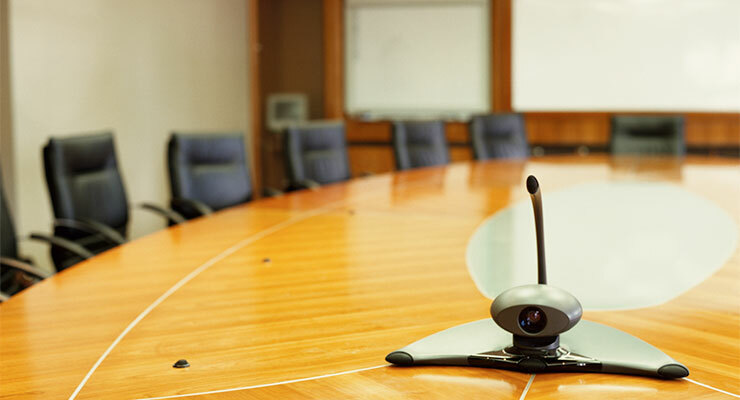 Some HD videoconferencing platforms offer something else that is important, security. Standard AES end-to-end encryption is employed and meetings are locked to ensure no one leaves or enters without the conference leader’s permission. Each meeting also requires secure logins and password protection, which ensures participants don’t join a meeting in progress by mistake. HD videoconferencing software platforms will often provide the ability to do something that you can’t do during an in-person interview (at least, not discreetly) – secure private chats. A great way to ensure that important follow-up questions get asked and important details aren’t missed, secure group and private chats enable teams to get the most out of every interview and deposition. Document and exhibit sharing should be easy as well, requiring just two clicks. If you’re looking to cut down on your travel expenses in 2016, consider the benefits of HD videoconferencing for your depositions, expert consultations, mediations, arbitrations, interviews and other meetings. In another related article, Advancements in Court Reporting Technology, we discuss a couple other technologies that assist attorneys in their depositions and legal proceedings. If you’d like to learn more about our videoconferencing services, supported by one of the best deposition videoconferencing platforms go here or call us, Mike Mobley Reporting, at 1-800-894-4327.